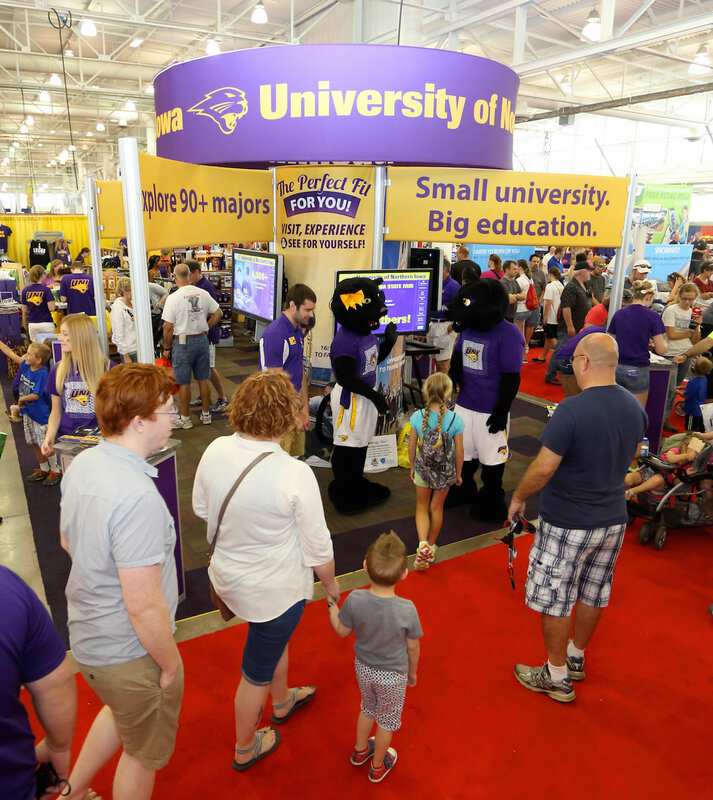 The University of Northern Iowa is back at the Iowa State Fair! Visit our interactive exhibit from 9 a.m. to 9 p.m., Thursday, Aug. 9, through Sunday, Aug. 19, in the Varied Industries Building. The exhibit will offer interactive multimedia stations, complete with three 55-inch touch screen monitors. The monitors will allow visitors, alumni and prospective students to explore the many different majors and opportunities UNI has to offer. Alumni will also be able to use the stations to sign the alumni guest book. The exhibit will provide prospective students and families the opportunity to visit with alumni, faculty, staff and students to learn more about UNI and campus life. Grab a Panther football poster, a temporary Panther tattoo and other UNI giveaways. University Book & Supply will sell UNI clothing, Panther gear and memorabilia in conjunction with the exhibit. For more information, contact Amelia Holden-McMurray, marketing specialist in the Office of University Relations, at (319)-273-2761 or amelia.holden-mcmurray@uni.edu. Alumni volunteers can contact Amy Mohr at (319) 273-3094 or Amy.Mohr@uni.edu with questions. Read more about Join us at the Iowa State Fair!